More information is being learnt about E numbers all the time and certain E numbers are now known to produce side effects and unwanted reactions in some people. Here we look at the known dangers and side effects of some commonly used E numbers. Before being authorised for use in the European Union (EU) all E numbers and additives have to go through various testing procedures. But despite the checks and testing methods, some E numbers that may pose problems have slipped through the net and become a regular part of our food and drinks. In such cases, the true effects of the E numbers haven’t become known until people suffer from unwanted symptoms and health problems. Just because a danger and side effect has been noted, it doesn’t necessarily mean that everyone that eats or drinks a product with it in will suffer. Far from it, in fact, as some people can get away without any noticeable effects. But people who are particularly sensitive to the ingredient, or suffer from other health conditions that increase their sensitivity, sadly often do fall foul of the side effects. The symptoms suffered by people range from rashes and skin reactions, to bronchial and breathing problems, headaches, digestive problems, nausea and hyperactivity. The hyperactivity is particularly prone in children and has been linked to a range of colours widely used in products such as drinks. But how do you know the good E numbers from the bad and which ones specifically have reported effects? Aspartame is an artificial sweetener that’s widely used as an ingredient in products such as snacks, desserts, diet and low-sugar foods, drinks and sweets. It’s known to affect some people who have phenylketonuira, or PKU, but reactions have been reported in others too. Side effects are said to include headaches. This is a yellow colouring that is added to a wide range of products such as squash, jelly, marzipan, jams, soup, sauces and tinned fish. Some people suggest it should be avoided by anyone suffering from existing allergic conditions, such as asthma or urticaria (a skin condition), but it’s also one of the E numbers studied by Southampton University researchers. They found it to be involved in increasing hyperactivity in children. The government now recommend that, if a child has signs of hyperactivity of ADHD, it’s worth avoiding this additive. 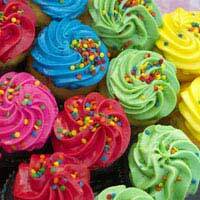 This is also a yellow food colouring and may cause allergic reactions in some people, including asthma attacks. It’s found in a range of products, such as soups, custard powder, mustard, marmalade, jelly, marzipan, ice lollies, fizzy drinks and squash. Again, it’s recently been found to increase hyperactivity in children. The government now recommend that, if a child has signs of hyperactivity or ADHD, it’s worth avoiding this additive. It is already banned from use in Austria and Norway. This is a synthetic red dye that is commonly found in jelly, jam, sweets, flavoured yoghurts, packet soup and blancmange. It may cause allergic reactions in some people. It’s one of the E numbers studied by researchers from Southampton University and found to increase hyperactivity in children. The government now recommend that, if a child has signs of hyperactivity of ADHD, it’s worth avoiding this additive. It’s already banned from use in America, Norway, Japan and Sweden. This is a type of colouring that is used in all sorts of products, including jelly, soups, packet cake mixes, dessert topping and salami. It’s one of the E numbers that was recently flagged up in a study at Southampton University as increasing hyperactivity in children. The government now recommend that, if a child has signs of hyperactivity of ADHD, it’s worth avoiding this additive. This E number is already banned from use in America and Norway. This orangey red food colouring is a synthetic dye that is used in foods such as sweets and drinks. There are some indications that people who are allergic or intolerant of aspirin may be extra sensitive to it. It’s one of the E numbers studied by researchers from Southampton University and found to increase hyperactivity in children. The government now recommend that, if a child has signs of hyperactivity of ADHD, it’s worth avoiding this additive. This E number is already banned in many other countries, including Belgium, France, Germany, Sweden, Austria and Norway. This yellow food colouring is used in products such as scotch eggs, smoked haddock and ice cream. It’s one of the E numbers studied by researchers from Southampton University and found to increase hyperactivity in children. The government now recommend that, if a child has signs of hyperactivity of ADHD, it’s worth avoiding this additive. It’s already banned in many other countries, including Australia, America, Japan and Norway. This is used as preservative in products such as soft drinks, margarine, salad dressing, soya sauce, sweets and some sauces. There are some indications that it may cause reactions in people suffer from asthma or other allergic conditions, particularly when consumed at the same time as E102, tartrazine. It’s one of the E numbers studied by researchers from Southampton University and found to increase hyperactivity in children. The government now recommend that, if a child has signs of hyperactivity of ADHD, it’s worth avoiding this additive. Although these examples seem startling enough on their own, this is by no means the fully extent of E numbers that could be harmful to health. hi my name is alysha and l like playing on mincruft. I was honestly worried for my daughter last night when I read the label for he packet of chewing gum and the fact that it says that it could cause diarea if you consume too many of them in an extended period of time and I was worried if any of the E numbers it showed where dangerous (E120 and E171). But now I am relieved that it wasn’t anything to worry about, this website helped a lot. Thank you. I think these companies using these additives should be shot and let god sort them out. 9805515151 Tell me wat is the effect of this no in my life? The information presented here is certainly useful but would be more so if you could link to the studies that you mention. I find information vastly more useful and believable if it is backed up by scientific rigour. Thanks.